Sharks. I never saw that coming. We are so excited to debut our Sharknado Pop! It's a shark in a tornado. A Sharknado. 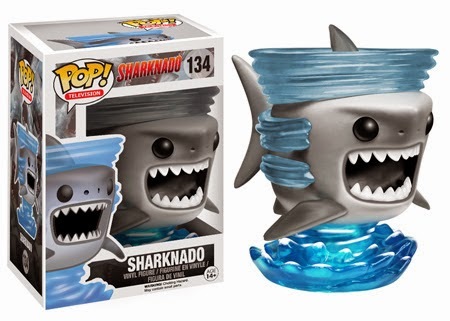 Sharknado looks particularly terrifying... even in Pop! form! Sharknado 2: The Second One will premiere July 30th on Syfy! The original Sharknado was a swimming success with a debut of 1.37 million viewers! Learn more about Sharknado 2: The Second One right here!